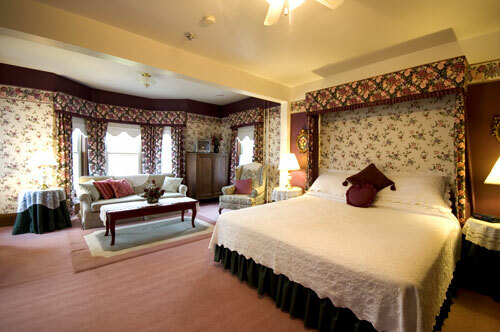 The finest - cranberry shades, the draped king size bed and sitting area with fireplace say it all. This "sweet" has windows that surround the sitting area and antique furniture that gives it a stately, yet cozy inviting welcome. 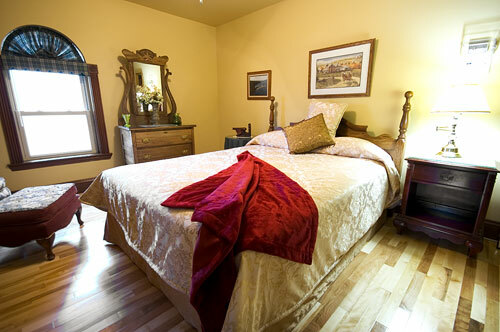 The ensuite with Jacuzzi makes for perfect relaxing and the sofa converts to a bed for an additional person. Close your eyes and set to drift away – to an island perhaps. 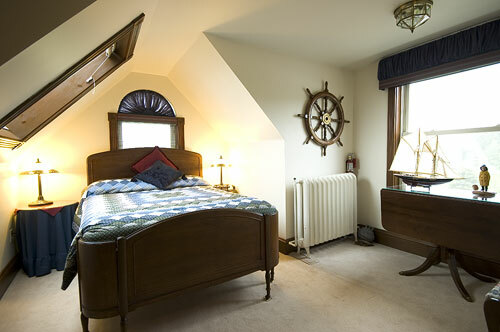 Wherever you choose to sail the Captain’s Den, with its authentic ship’s wheel, nautical décor will help set the mood. 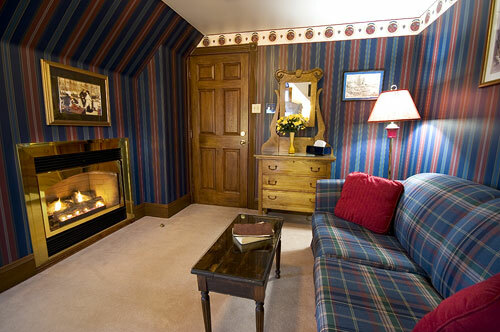 The Captain’s Den has a double bed, pull out sofa, a fireplace, ensuite bath and skylight. An outdoor person&apos;s retreat. Everything in this room, from the handmade headboard and footrest, to the scenes on the wall remind you, that you are in a quiet spot. You’re away from the hustle and bustle of city life tucked away in a serene country setting. The ensuite’s window has wooden shutters and the details of this room continue to make you smile. Fishing anyone, or do you just want to sit by the fire? Cranberry Cove Inn&apos;s little piece of Cape Breton - Isle Royal. Where the tartan lets you know you’re welcome anytime. Sit in the cozy wing back chair and gaze out at the harbour and imagine what it was like to be one of the first settlers on our Island. The colours of the room complement the green, yellow and grey of the tartan. 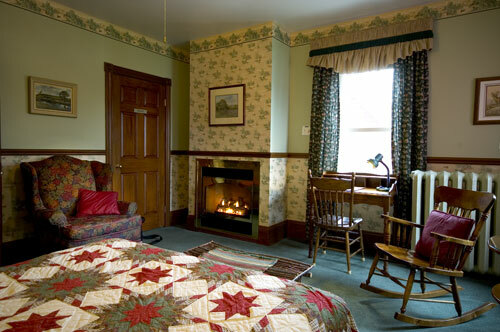 Look around the room – there are touches of Cape Breton everywhere, even a fiddle! Spacious, inviting and cozy at the same time. 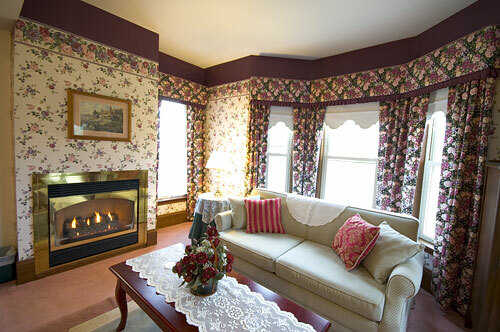 Whether it’s the fireplace or view of the harbour, you’ll find Hearts and Flowers to be just the right fit. 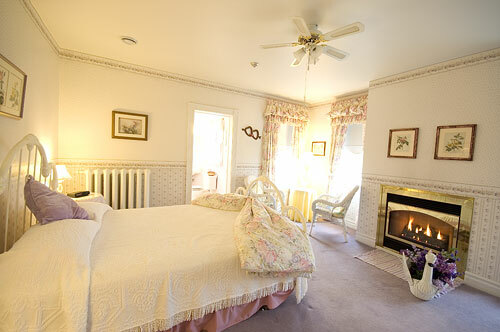 The colour mauve with flowers, white wicker and wrought iron bed set the tone for what is truly a delightful ambiance. 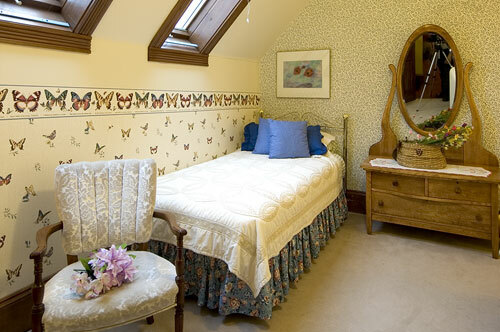 This room takes you back to your first read of “The Secret Garden”. Wicker furniture completes this room decorated in pastel hues of green and peach. Flowers and pictures of days gone by make you inclined to relax with a book or contemplate your own garden while resting in the Jacuzzi. Complete with queen size bed. 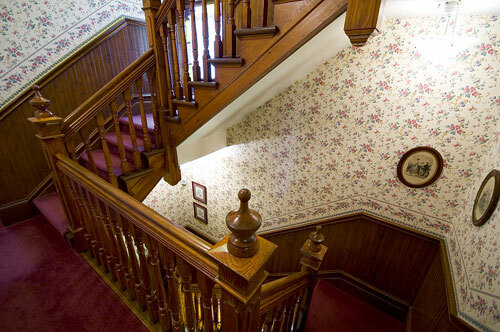 You’ll find Lucy Maude Montgomery&apos;s book in the room – Anne of Green Gables. 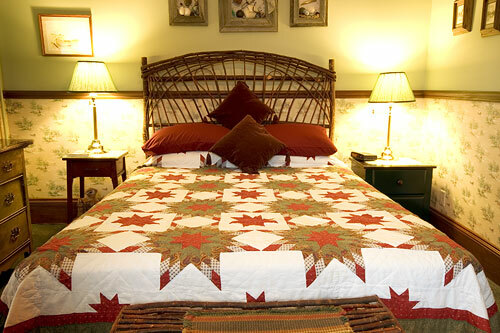 You can just imagine Anne Shirley tucked away in this room with two twin beds, comfy quilts. 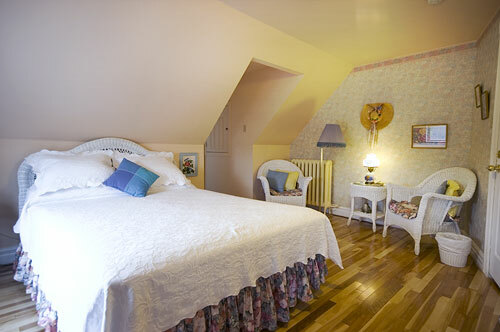 A comfy room for two with a skylight that lets you dream as Anne did as she gazed at the stars.